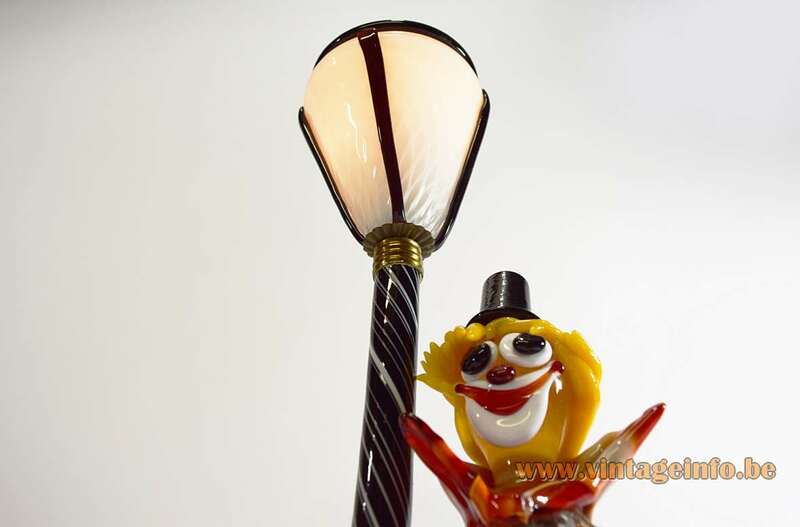 Materials: Clown made of crystal hand blown Murano glass in many colours. 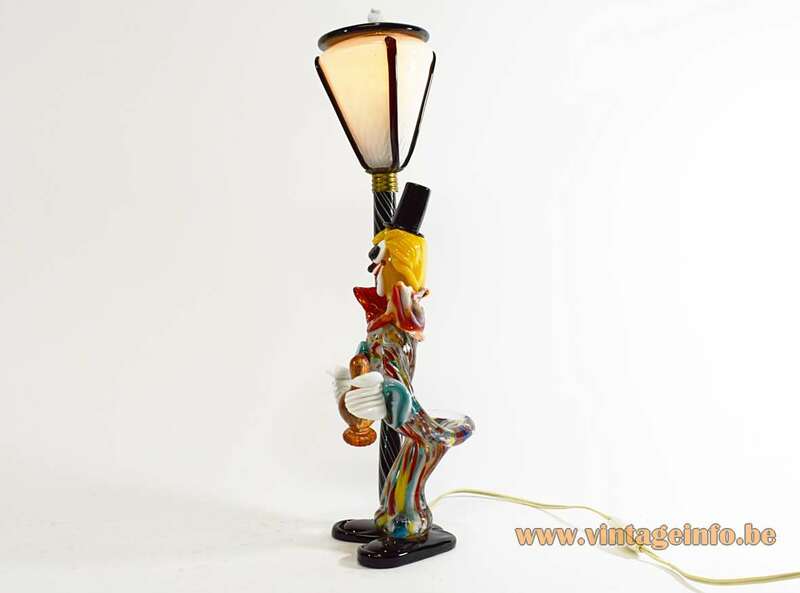 Black and white twisted glass lamp post with a white opal glass diffuser and a black glass lid. Brass ring. 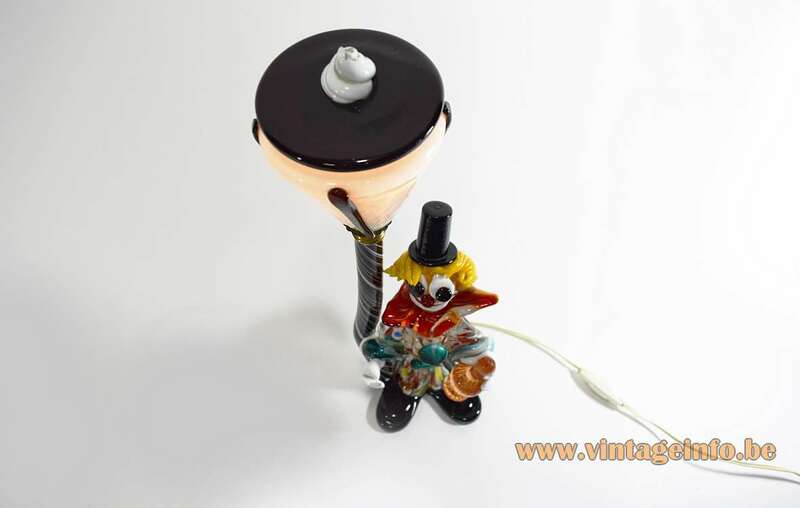 Brass with porcelain socket. 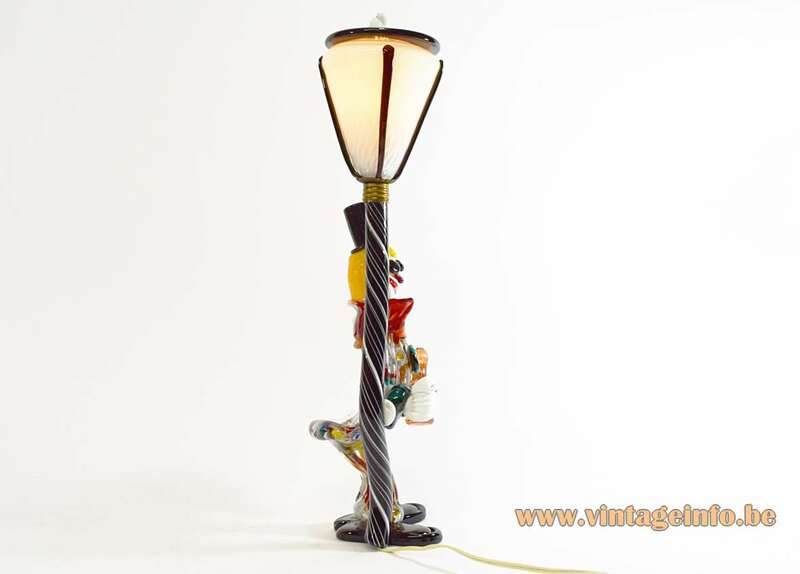 Not any type of lamp can be used. 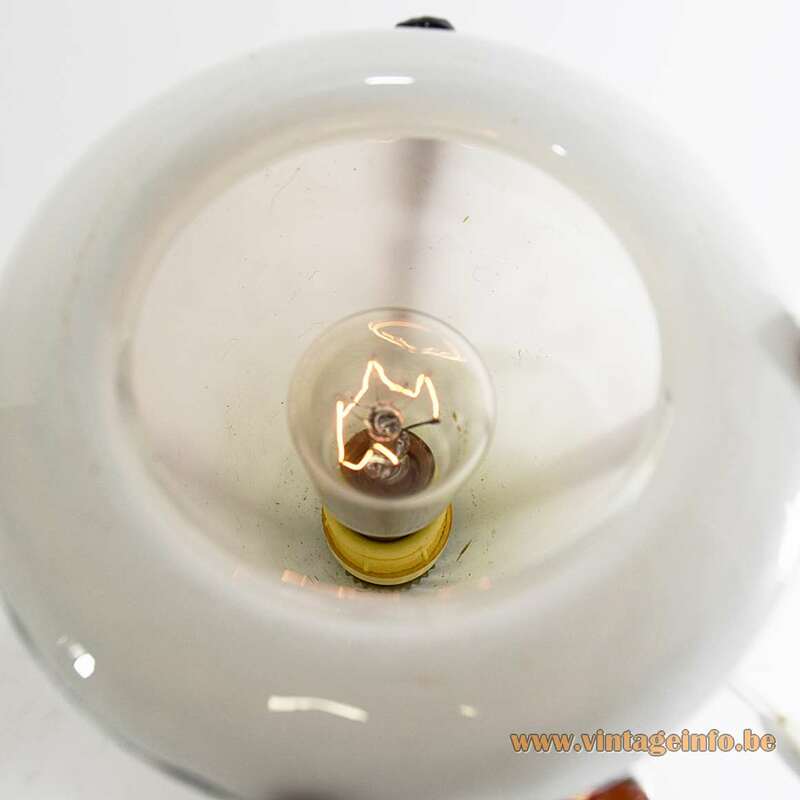 Preferably a small bulb, white/opaque or clear/bright. 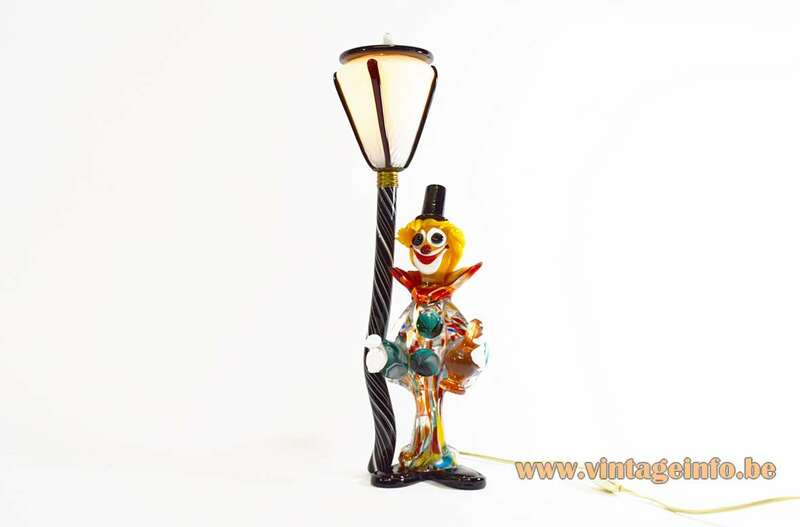 These clowns were very popular from the 1950s to the 1970s. 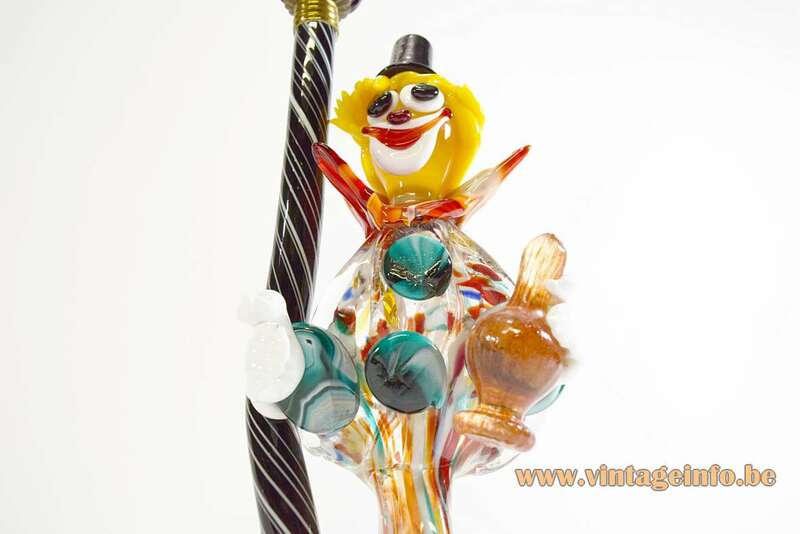 Many glass factories around the world made them. 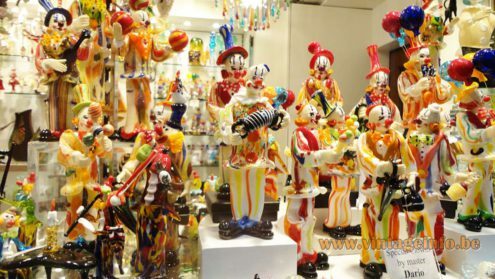 In Europe the were made in Murano, Italy, in Bodenmais, Bavaria, Germany by Joska, in the former Yugoslavian Republic and so on. Today they are also made in China. The story goes that these clowns were made at the end of the day with the remnants of the glass. 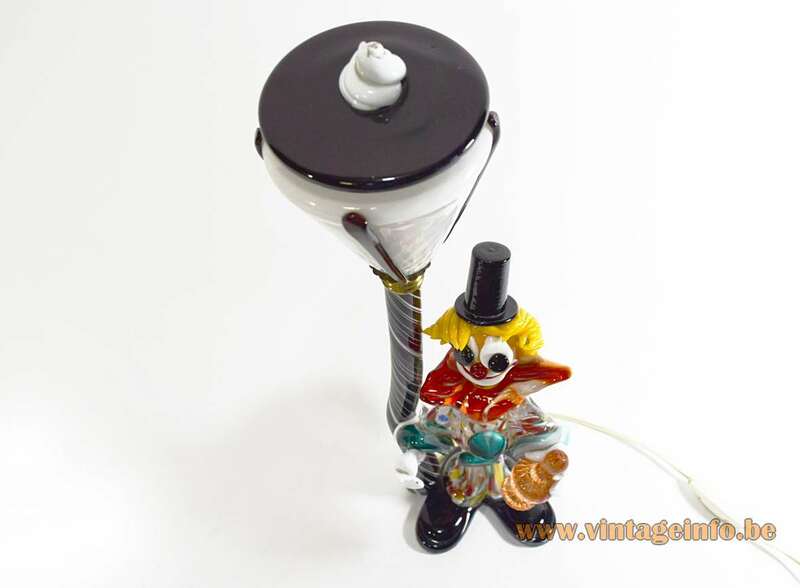 Other small pieces were also made in the evening. Probably that’s a hoax. The glass furnaces are burning 24/7. 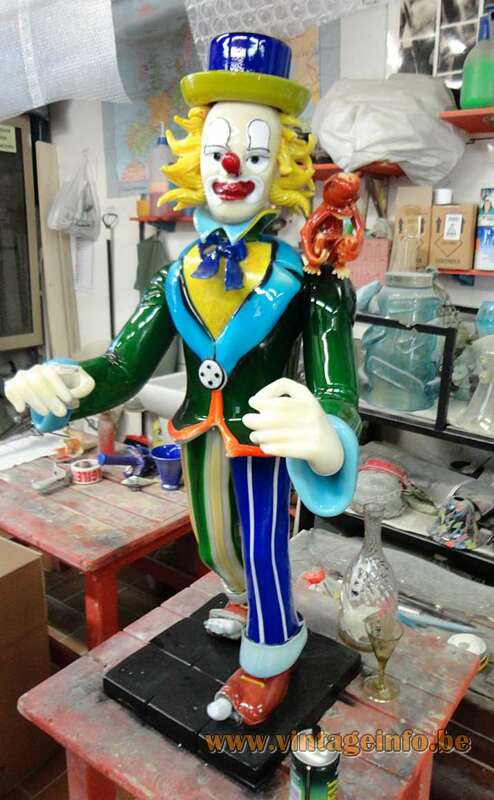 Sometimes it takes days to produce the right colour and it takes hours and hours to go to the exact temperature. 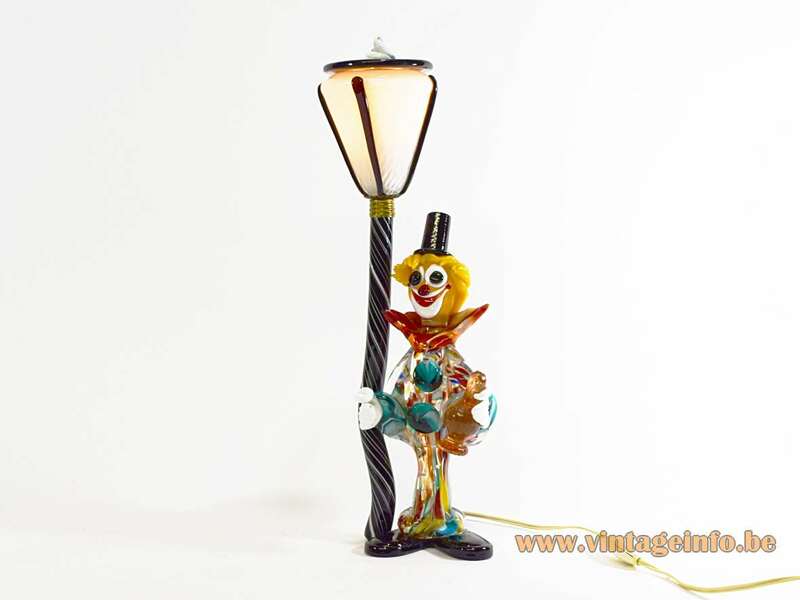 All the electric parts of this clown lamp are from the 1960s and Italian and made by the VLM Components company from Buccinasco, near Milan. 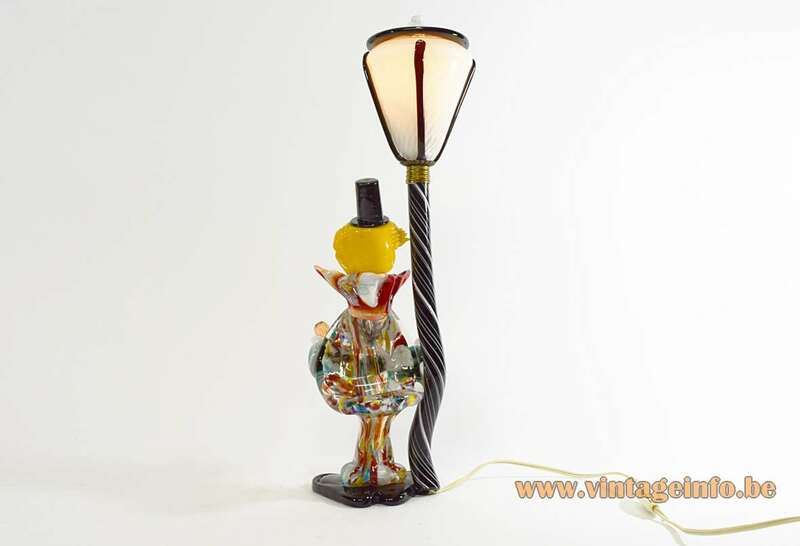 Presumably this lamp is also Italian and made in Murano. 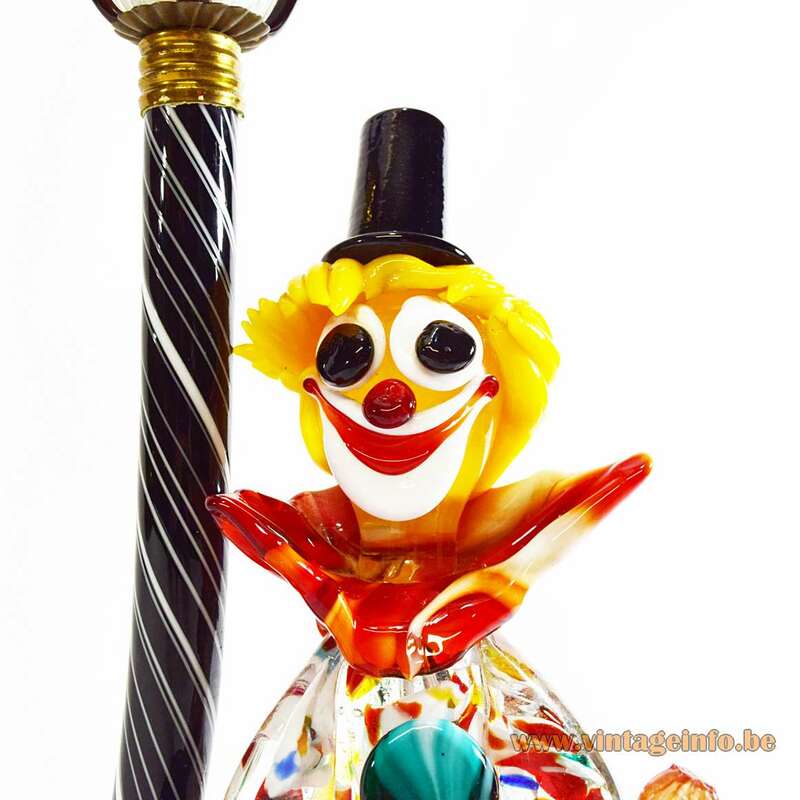 One of the most famous glass masters from Murano, Pino Signoretto (1944 – 2017) sometimes created a stunning clown. 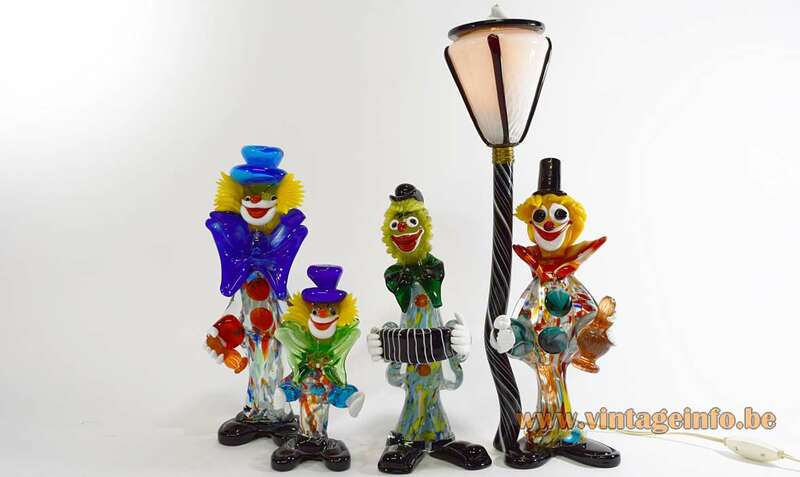 You can’t compare them off course, the clowns from mister Signoretto are refined art.